Ow Canada! True Canadians don’t wince when you carve a maple leafs out of their skin. 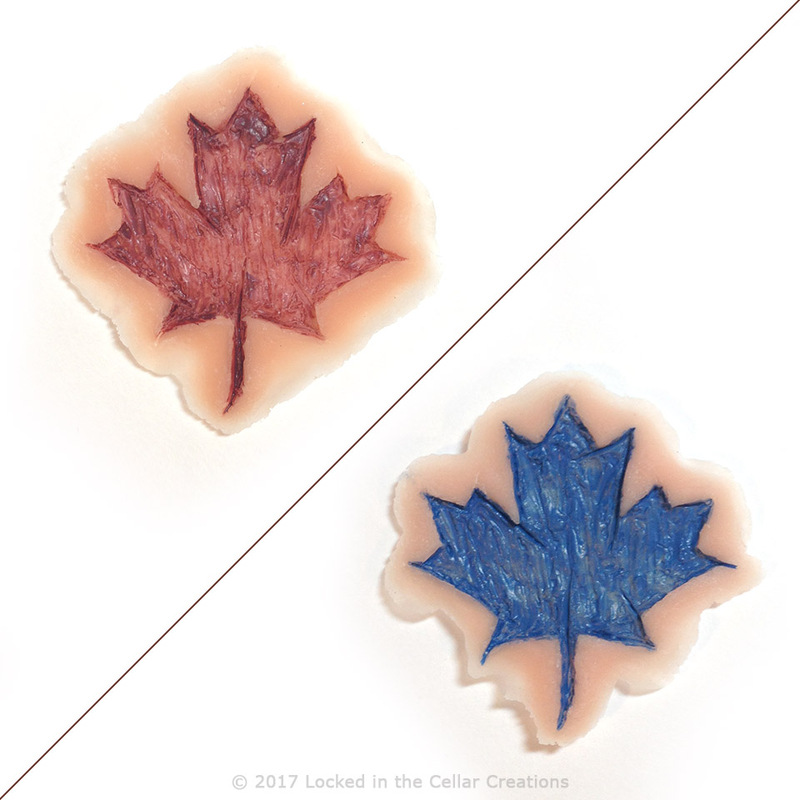 Great to add a little gore to your Canada Day or to show what a dedicated Maple Leafs supporter you are. You will really freak people out with this simple make-up, and make them wonder how you achieved this effect! 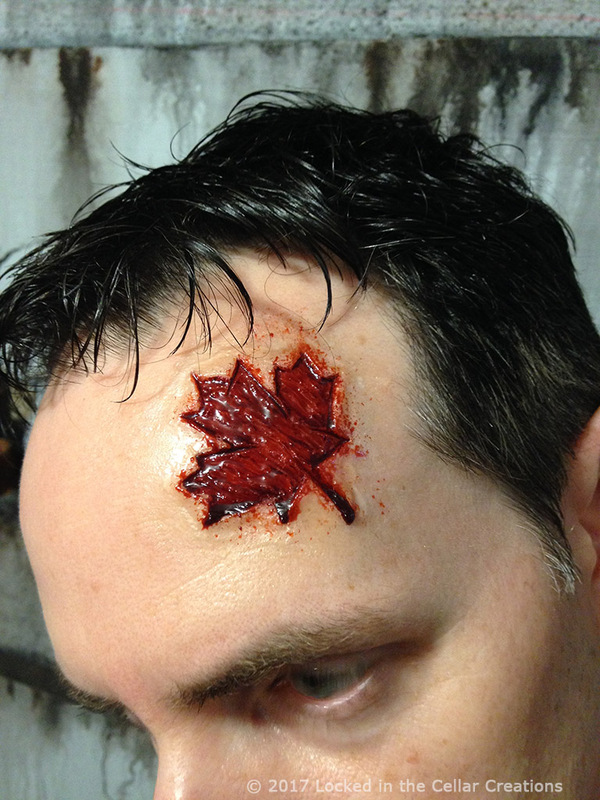 The Maple Leaf Prosthetic is very flat, making it look very natural. However, in the centre there is a depth to it, that makes it seems as if it goes 2mm into your skin. This is what makes it look so gruesome. 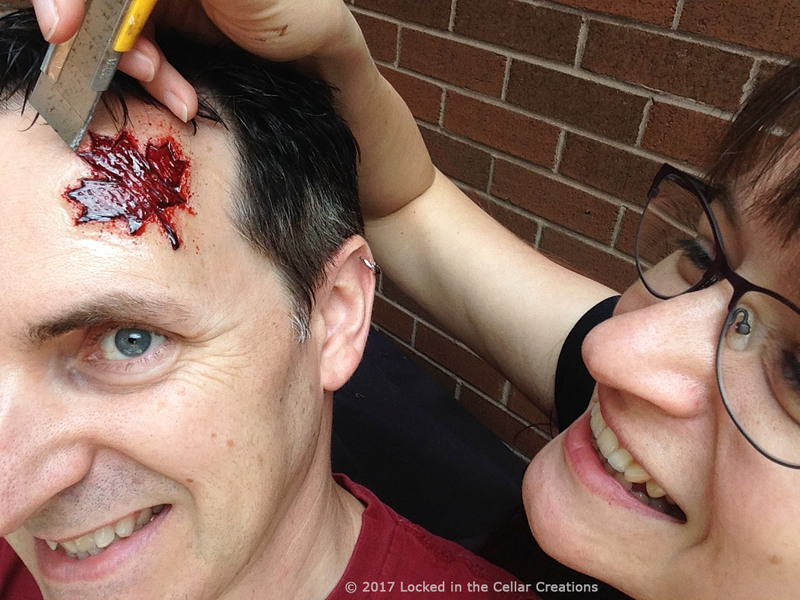 To apply it, first you glue the prosthetic on your cheek, forehead, arm, or wherever you think it will look best. Then you blend it in with a little bit of liquid latex, and maybe add some theatrical blood. After this it will look as if someone took a knife to you and carved a Maple Leaf out of your skin. 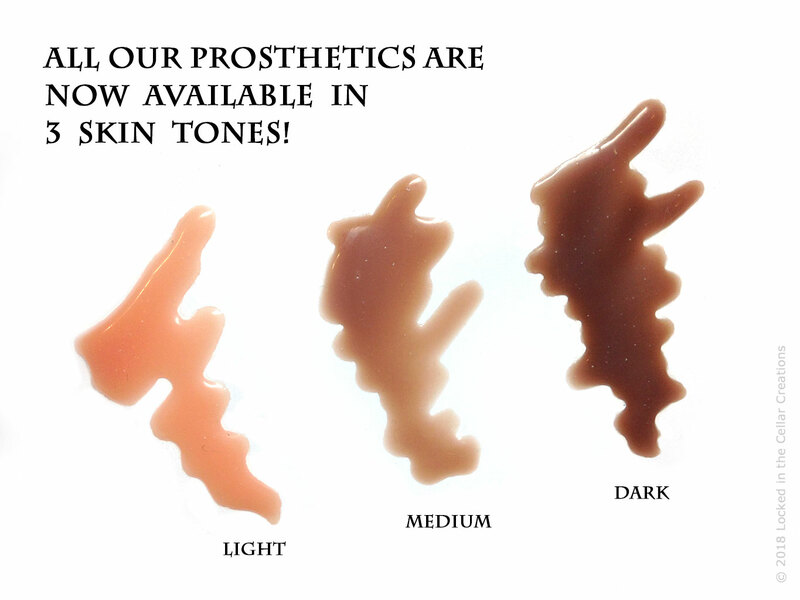 The Maple Leaf Prosthetic has super thin edges (as you’re used to from us) for easy blending, and is now available in 3 skin tones! You can order this prosthetic in Red, Blue or any colour of your choice! Just add a note when you check out your Custom prosthetic describing what colour you want. – The injury is pre-painted with high attention for detail, in red, blue or any colour matte paint of your choice. – We do not recommend using latex prosthetics on young children.